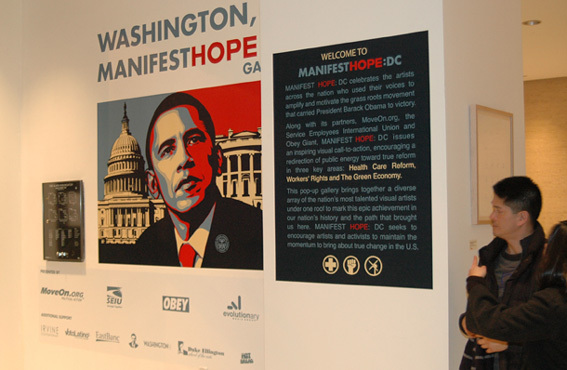 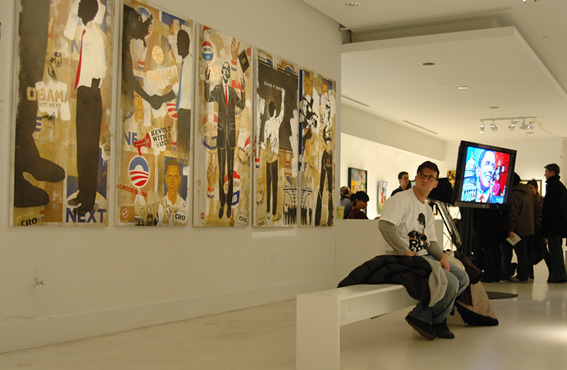 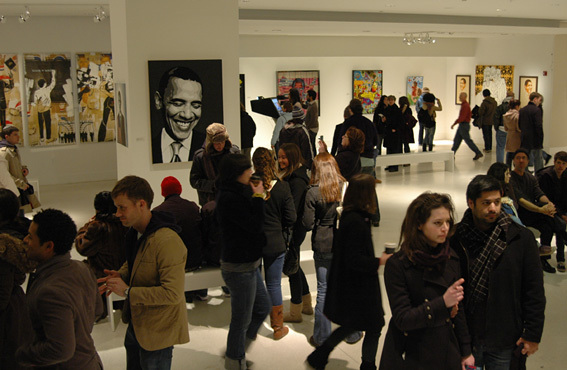 Jan. 18, 2009--The ManifestHope: DC space at 3333 M Street NW in Georgetown brought together an impressive collection of Obama-inspired art. 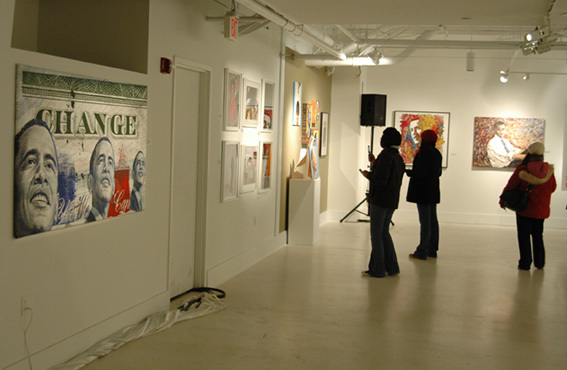 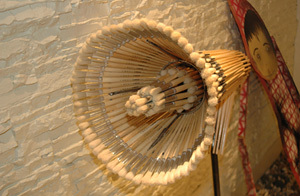 The space, open from January 17-19, built on the ManifestHope gallery and activities in Denver during the Democratic National Convention. 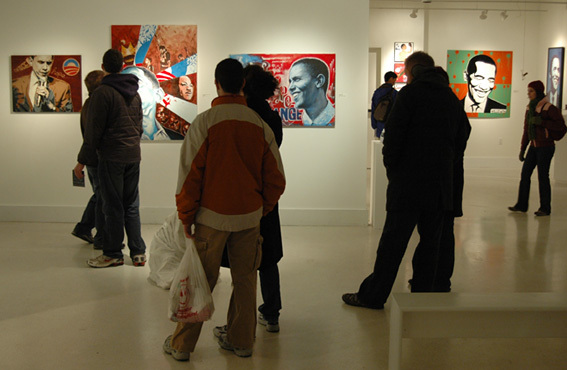 Yosi Sergant (Evolutionary Media Group) and Shepard Fairey were key people in assembling the show.